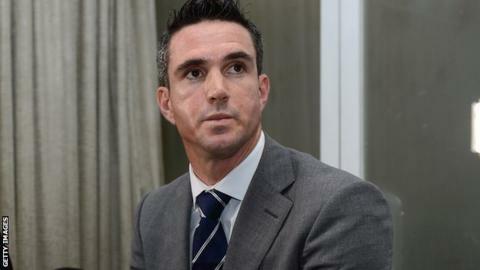 The acting chief executive of South African cricket says claims Kevin Pietersen was coaxed into sending provocative text messages about England team-mates are "ridiculous". England and Wales Cricket Board chief executive David Collier accused South African players of a "definite policy". But Jacques Faul told the BBC: "That's not the way we play our cricket. "It is absolute rubbish we would have a conspiracy to talk to Kevin Pietersen and provoke him by sending messages." In an interview with the BBC's World Service, Faul added: "If there is an attack on our integrity, this is the way we will react, by denying any wrongdoing. "There is a difference trying to get under someone's skin and playing a mental game to what they are suggesting we did, which is absolutely nonsense." Faul has contacted Collier to discuss the issue and does not believe the accusation will damage the long-term relationship between the two boards. Faul added: "World cricket is a small place so we all have to get on and work with each other so I am sure we will work it out. We have left the door open for further discussions." Pietersen, 32, was left out of the final Test between the two countries in August and omitted from the World Twenty20 squad and this winter's tour of India. South African Cricketers' Association chief executive Tony Irish said Collier's remarks were "ridiculous" and wants an apology for the players. He told BBC Radio 5 live.Sport: "The players would like an apology from Collier. It's a cheap shot, I think." Irish also suggested Collier's comments were worse than Pietersen's initial texts: "I think Mr Collier's is worse because he said it publicly. It's inflammatory. "It's suggesting the South Africa team had this kind of tactic. It's irresponsible." Pietersen allegedly sent messages criticising England captain Andrew Strauss to members of the opposition during the second Test. The messages were subsequently deleted, so the ECB relied on "binding assurances" from Pietersen that they were not derogatory before accepting his apology and handing him a new four-month contract. Pietersen will undergo a reintegration period involving face-to-face meetings to rebuild trust with the other players. Team director Andy Flower will then decide when he feels Pietersen should return to the squad.